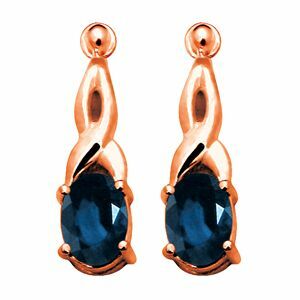 Solid 9ct rose gold sapphire twist drop earrings. Gemstone: 2 x Sapphire dark blue oval 6x4 mm. Material: 1.7 x grams solid 9 ct rose gold. Type: rose gold sapphire earrings.